To nibble means ‘to bite off a small piece of something’ or ‘to eat or chew in very small bits.’ It also means ‘to bite lightly’, as some animals do when they’re playing or as people might do affectionately. As a noun, a nibble is a small piece of food and the act of nibbling. In fishing, the nibble is the response of a fish to bait. Figuratively, and related to this sense, a nibble is also a show of interest. Tania nibbled the chocolate daintily. Veronica had spent the day nibbling and had no appetite for her dinner. James nibbled his lover's ear. Sabina polished off every last nibble of the cake. Diana took a nibble of the cookie. Alf sat on the riverbank, waiting patiently for a nibble. The entrepreneurs are trying to find buyers for their new product, but so far they haven't had even a nibble. A nibble is a small bite of something, so it is hardly surprising that in computing a nibble (sometimes spelled nybble or nyble) is half a byte. 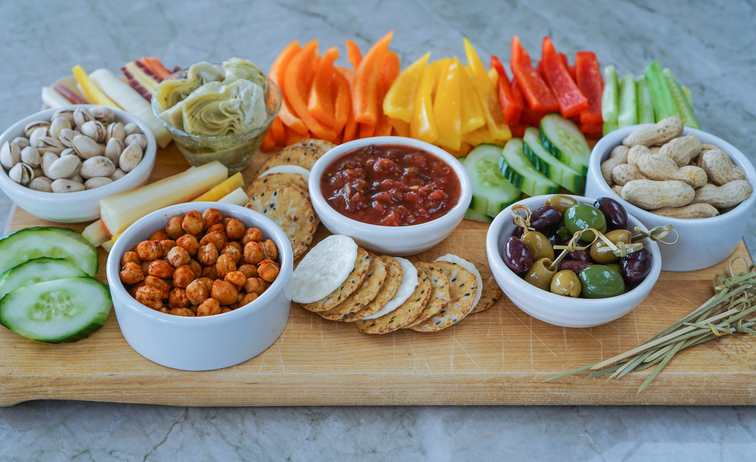 Nibbles, in the plural, means snack food served in small quantities, often with drinks before dinner, for example. You could just put out a bowl of peanuts or chips, of course, but homemade food is always more impressive when you are entertaining, so if you’d like to try something a little more sophisticated, there are some great recipes here. Nibble, meaning ‘to bite gently,’ dates back to the mid-15th century. The late Middle English verb nebillen, meaning ‘to pick away at something,’ ‘nibble’ or ‘try,’ came into English through the Middle Low German nibbelen, which meant ‘to pick with the beak’ (and was obviously said about birds). Its origin is unknown, but it related to the Low German nibbeln and the Middle Dutch knibbelen, both meaning ‘to gnaw,’ and the Dutch knibbelen (to squabble). The noun comes from the verb and, meaning ‘the act of nibbling,’ dates back to the mid-17th century. The meaning expanded to ‘a small bite’ in the early 19th century, and the figurative senses grew from here.